The Brooklyn Botanic Garden is well known for its many excellent garden books. Among these is a wonderful volume that will be of particular interest to cactus and succulent lovers. 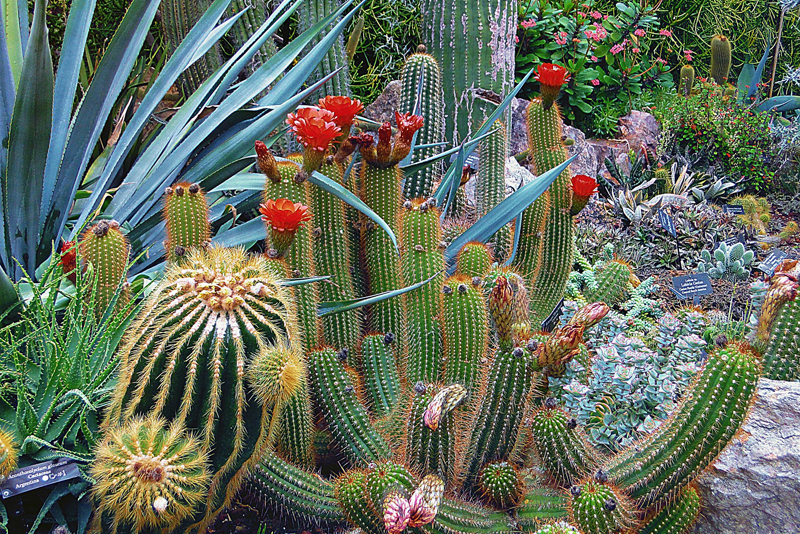 “Crazy about Cacti and Succulents” is one of the Brooklyn Botanic Garden All-Region Guides. Whether you garden indoors or grow hardy cacti and succulents outdoors, this informative book has something to offer. With this in-depth volume, you can’t go wrong. Edited by Ray Rogers, this contains chapters by well known plant experts writing on their respective fields of expertise. Panayoti Kelaidis contributed several chapters, including one on hardy cacti of the West, and another for hardy succulents that are recommended for all areas. Janet Marinelli addressed the issue of plant conservation and how cacti and succulent lovers can help preserve native plant diversity around the globe. This is a serious problem that needs to be addressed through our individual actions. This particular chapter highlights those species that are most vulnerable. Marinelli explains the laws and treaties involved, and encourages gardeners to only buy plants that were nursery grown—not collected from the wild. Individual chapters are devoted to the Ceropegias, and the stapelias and their relatives. This particular volume covers a range of specialized topics pertaining to cacti and succulents. For example, there’s one chapter on the medicinal uses of the plants, while another deals with how to grow succulents as bonsai. This volume is packed with useful basics as well, such as how to propagate your own cacti and succulents, and how to grow them indoors in light gardens or on window sills. There are even details on how to groom and prepare the plants for shows and competitions. In addition, there is a chapter that explains how to create green roofs by using sedums and other hardy succulents. The appendix has a list of nursery and seed sources. Lushly illustrated in full color, readers will learn all the basics on caring for cacti and succulents as well as the specific cultural needs of the different species to the routine care and descriptions.